Several of the provincial primary schools have already arrived in Honiara ahead of the start of the program on Monday 20th September, 2010. 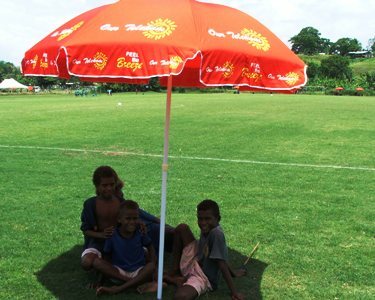 The first school to arrive was Vanua Primary School from Rennell and Bellona Province who arrived in Honiara on Sunday. Lilura Primary School of Tataba arrived yesterday as well as Paqoe and Ogho of Choiseul Province. Poitete Primary School of Western Province is also in town. This weekend the organizing committee for the kids football festival is expecting more teams to arrive including the 2 primary schools from Malaita, Kwaigeo and Kilusakwalo. The participating teams from Makira Ulawa Province are also expected to arrive over the weekend. Tamboko and Kulu of Guadalcanal Province will arrive in Honiara on Saturday. The organizing committee is finalizing the preparations for the kids festival. All the teams will start moving into the games village on Saturday. Currently all the schools are being looked after by relatives and supporters whilst they wait for the games village to be open.